Responsive, efficient, reasonably priced, honest, knowledgeable. 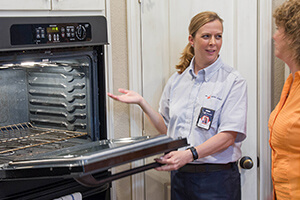 Will definitely call again if/when we need another appliance repaired. Allen was very professional and polite. He was in time and efficient. Quick, efficient, clean and respectful of my time.